Manassas, VA– Award-winning singer and songwriter Michael W. Smith will perform at the Installation Ceremony for NRB President & CEO Dr. Jerry A. Johnson on Saturday, February 22, during the NRB 2014 International Christian Media Convention in Nashville, TN. 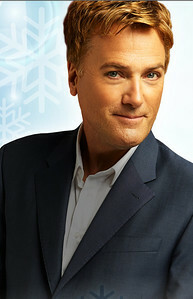 Over the course of his 30-year career, Michael W. Smith has sold more than 17 million albums and recorded 31 number one songs. A three-time Grammy Award winner, he has also won 36 Dove Awards. Smith has had the opportunity to sing for presidents and national leaders, at community gatherings and memorials, and on national and international television. He is also active in Billy Graham Crusades and Samaritan’s Purse. In addition, Smith is the founder of Rocketown, a teen club that provides a place for teens to gather in a safe, loving environment.